IT Professionals for Media Professionals | Arvato Systems | IT Strategy. Solutions. Innovation. Arvato Systems specializes in IT solutions for Digital Transformation. We leverage the knowledge and high levels of technical expertise of over 2,600 staff in 25 locations around the world. New York, NY, April 20, 2017	(Newswire.com) - With the slogan ‘Connecting Content & People,’ Arvato Systems and partner ANNOVA will again join forces at NAB (South Upper Hall, Stand 5515). Held from April 24-27 in Las Vegas, NAB is all about media, entertainment and technology. Against this backdrop, Arvato Systems will highlight three key products – MediaPortal, Avatega, and EditMate – at the world’s largest industry gathering for broadcast and new media. Operating in the newsroom environment, MediaPortal provides a platform for finding and gathering content from multiple sources, including newsfeeds, social media channels, internal and external databases, and Media Asset Management systems. Thanks to the intuitive interface, results can be brought together and shared with colleagues, for easy collaboration. Preview, video, audio and text editing features, as well as the ability to share large video files across multiple locations, make MediaPortal a ground-breaking search and collaboration solution for journalists and news organizations. The web-based application is browser and platform agnostic and will soon also be available for mobile devices. Open interfaces simplify integration and customization. The system, developed by Arvato Systems in conjunction with infoNetwork and CBC – both part of the RTL Germany Media Group, will be showcased at NAB 2017. Avatega is an efficient, highly-integrated system for managing contracts and intellectual property (IP) rights, and linear and non-linear content schedules. Based on the robust and scalable Microsoft Dynamics AX enterprise resource planning (ERP) system, Avatega enables users to schedule content across all their distribution platforms while maximizing the value of IP assets. 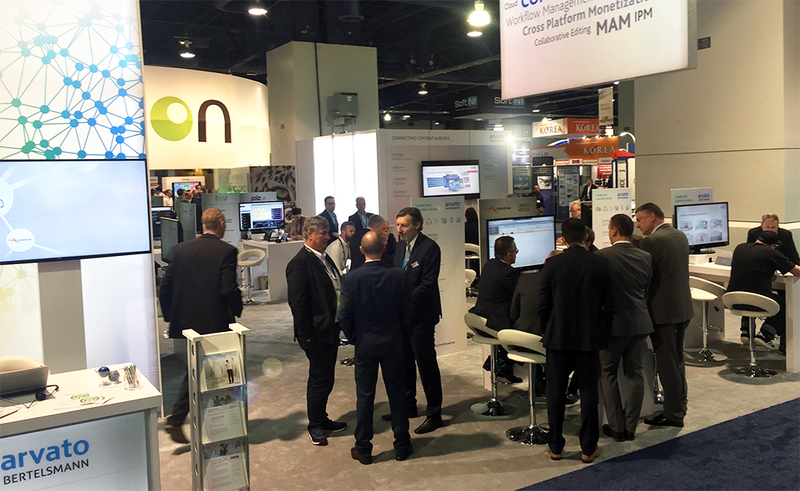 NAB 2017 sees the introduction of exciting new features that automate the workflow and streamline right usage and licenses. The combined power of Arvato Systems and Adobe Primetime enables the creation of engaging, personalized viewing experiences with a strong monetization layer. Bringing the Avatega program schedule together with the Adobe Primetime video platform allows content providers to create a unique user experience, leveraging Adobe Target in Adobe Marketing Cloud for personalized scheduling. The recommendation engine of Adobe Target combined with Adobe Primetime scans descriptive metadata from programming (e.g. cast, crew, genre) to improve recommendation quality and click-through rates. The integration of Avatega and Adobe Primetime also enables user recommendations based on the scheduled programming (e.g., “next week there is a movie with your favorite actor”), in turn generating higher audience numbers and increasing viewer retention. EditMate is the market-leading solution for managing Adobe Premiere Pro CC projects and the related media files for seamless collaborative editing workflows. New for NAB, EditMate now gives editors the option to “check out” projects and associated media for offline work on their local devices. Users can check back in and submit edited projects, or entirely new projects and files, back into the workgroup. This adds significant flexibility for mobile users. 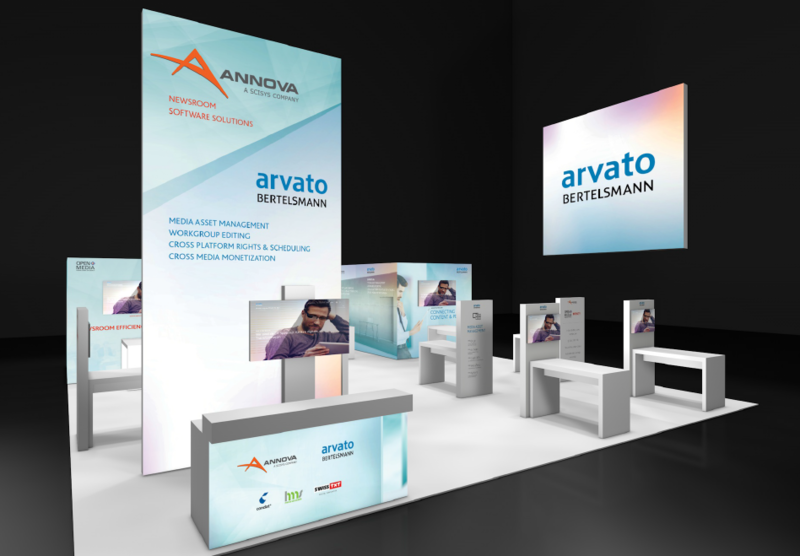 Arvato Systems and ANNOVA Systems have a long history of presenting products, projects and services together to customers and at shows. ANNOVA Systems' leading newsroom computer system OpenMedia is at the heart of the modern newsroom, enabling editorial teams to control, coordinate and target information and events to the relevant audience. Sign up for email updates from Arvato Systems.